We are excited to announce our new slate of free community classes for Winter/Spring 2019. Along with caregiver skills trainings, like CPR, Lifting Techniques for Home Caregivers, and Universal Precautions, we also have classes to help caregivers care for themselves. Our Self-Care for Caregivers class will help you identify and draw on the sources of strength in your life to help minimize stress. And Caregiver Essentials is all about setting up and maintaining healthy relationships with those you care for. Continuing our focus on health and wellness, we are offering the popular Chair Yoga class again, as well as a new class, Food & Mood, which is about using movement and diet to increase your energy and improve your health. And we will again offer Freedom from Smoking, Living Well with a Chronic Condition, and the Diabetes Empowerment Education Program. These interactive, evidence-based workshops are designed help you take charge of your health and include hands-on activities in a supportive environment. See our full list of classes and register today! 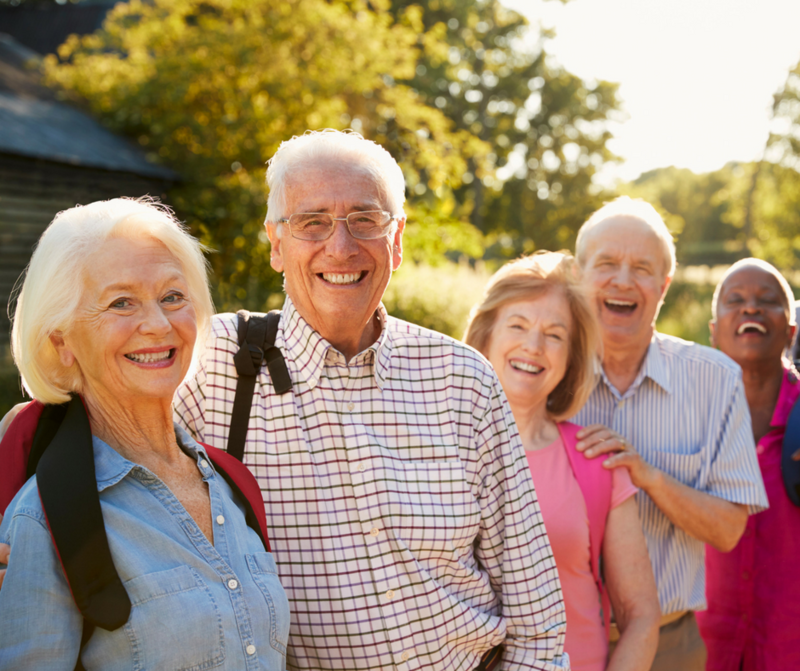 Improve your quality of life and lower your health care costs with this innovative, interactive workshop that will help you take charge of your chronic disease. Learn techniques for dealing with frustration, fatigue, pain, and isolation; build your strength and endurance; and learn how to effectively communicate with family, friends, and health professionals. Participants will work together over this six-week course to share experiences, make action plans, and problem-solve alongside others with chronic conditions such as heart disease, arthritis, diabetes, depression, asthma, bronchitis, and emphysema. This is a 6-week series. Classes are on Tuesdays, November 6-December 11, 2:00-4:30 pm. Register online or call Karen Bellanti at 530-274-5601. Finding your path to a smoke-free life is easier with the right help. The American Lung Association’s Freedom from Smoking program is a proven way to quit smoking—and stay quit—even if you’ve tried before and went back to smoking. Over the course of eight classes, you’ll set a quit date, build a quit plan, and work through your first few months smoke-free with the support of your classmates. We offer personalized attention and peer support in small group settings led by a facilitator trained by the American Lung Association. 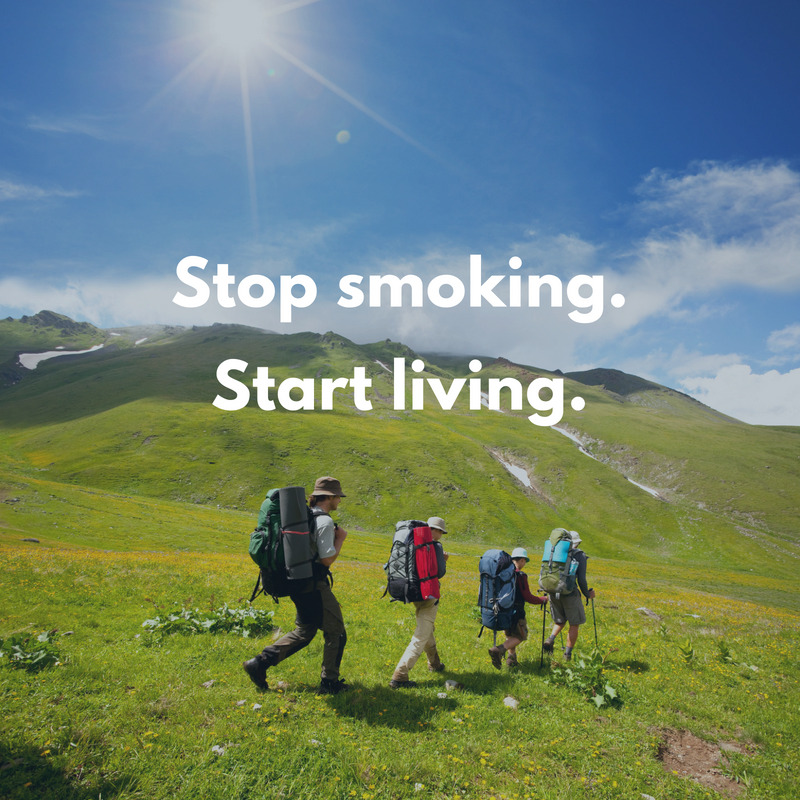 It’s time to stop smoking and start living. Are you feeling anxious, agitated, tired, irritable, depressed, angry, or sad? All of the above? Okay, you seem a little stressed . . . The symptoms of stress can affect both your physical and mental health and have a real impact on how you think, feel, and act. Learning to see the signs of stress and having clear strategies for limiting its effects can help you to live a much healthier, happier life. Practicing Peace: Stress Management for Life is a 4-week class designed to help you minimize the emotional and physical effects of stress and create a more peaceful approach to your current challenges. 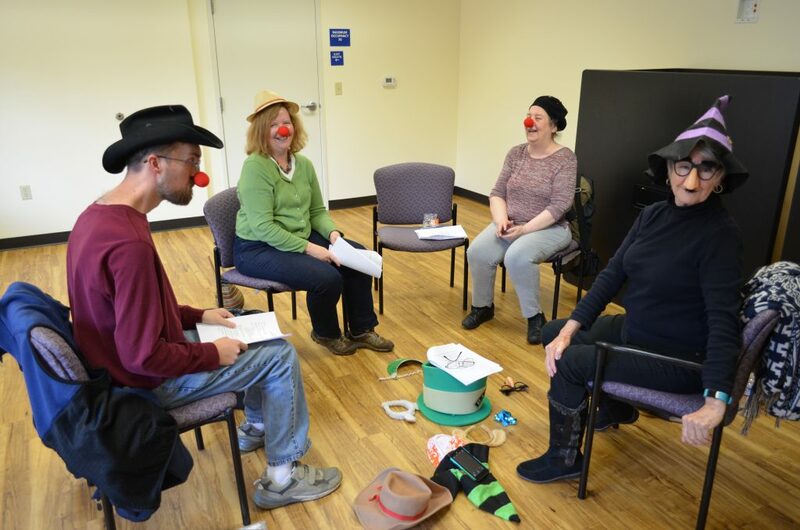 Taught by Marge Kaiser, this highly-rated class will teach participants how to overcome stress through humor, relaxation, self-care, and group support. 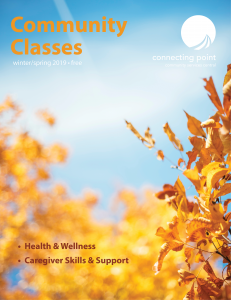 The free class, hosted by Connecting Point, begins April 5th and meets every Thursday through April 26th. It’s open to all Nevada County residents who need some support, strategies, and a good laugh. Cost: Free! Space is limited. Call Karen at 274-5601 to register or register online here. Connecting Point offers free caregiver training to community-members. All classes are free for Nevada County residents. The slate of classes includes practical training in caregiving skills, such as lifting and transferring, universal precautions, and dementia care as well as self-care classes for caregivers. We all know that transportation is essential for independence. In a rural community like ours, getting around can be a challenge, especially for those of us who don’t drive. Lack of transportation limits our opportunities for education, employment, healthcare, and social contact. But there are options out there, and we want to help you connect with them. Connecting Point recently received funding from Caltrans to help folks in Eastern and Western Nevada County better understand their transportation options and learn how to use them to get On the Move. Our new transportation navigator, Daniela Fernandez, has been riding the routes, talking to community members, and learning all there is to know about our local transit options. Her goal is to share all of this knowledge to demystify our bus systems and help people gain experience and confidence using public transportation. 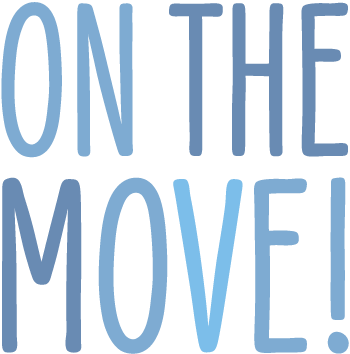 If you are interested in travel training or public transit education, please get in touch with Daniela by phone at 530-274-5601 or by email at danielaf@connectingpoint.org. 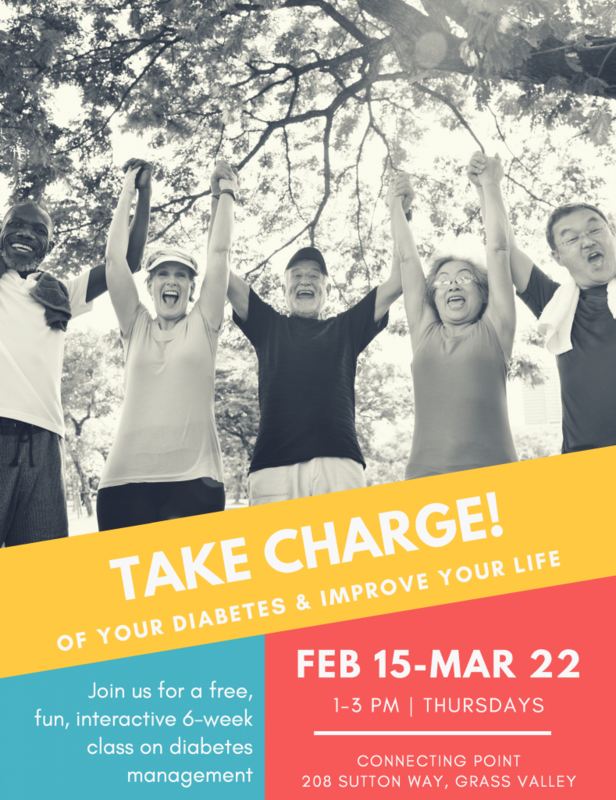 Tap into your strengths and take charge of your diabetes with DEEP, the Diabetes Empowerment Education Program. DEEP is an evidence-based program for people with diabetes or pre-diabetes and their caregivers. This high-energy, hands-on workshop includes activities, demonstrations, role play, and games in a fun and supportive environment. Gain a better understanding of how diabetes impacts your overall health and learn about new tools and strategies to help you take control of your diabetes. DEEP is offered through a partnership between Dignity Health, the Nevada County Public Health Department, and Connecting Point. For more information, call Karen Bellanti at 530-274-5601. To register, call Karen Bellanti at 530-274-5601 or register online here.